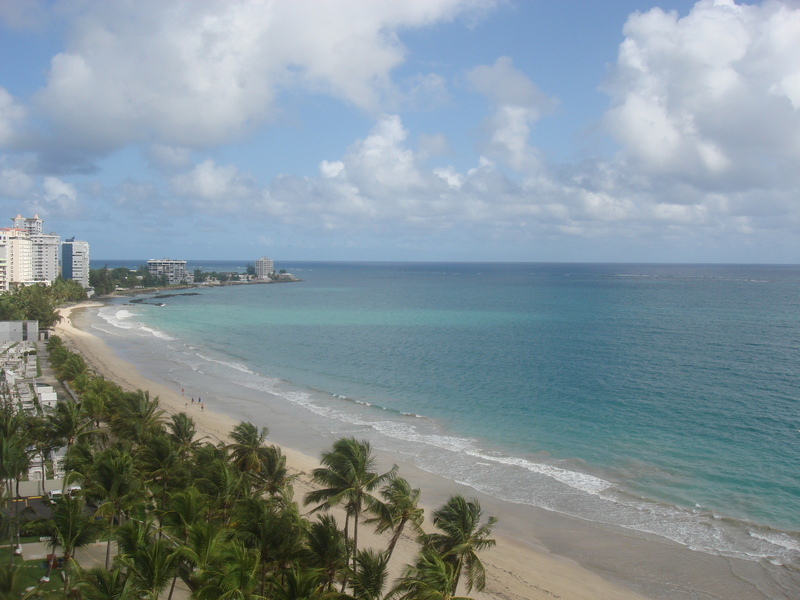 I have mentioned that I was recently in Puerto Rico at the venerable Caribe Hilton to speak on a panel (for the Triennial Convention of the American Federation of School Administrators). It was a pleasure and an honor to speak with such dedicated professionals! And everything went very well; I learned a great deal and made many interesting acquaintances. I was not able to take my son and it was the strangest, and not very pleasant sensation to be so far away. In the annals of never-happy, it is an awful irony that I complain and complain that I never have a moment to myself, and then when I finally do, I am bereft. I can’t stand myself sometimes. But, I recovered my senses. And of course, I ate. 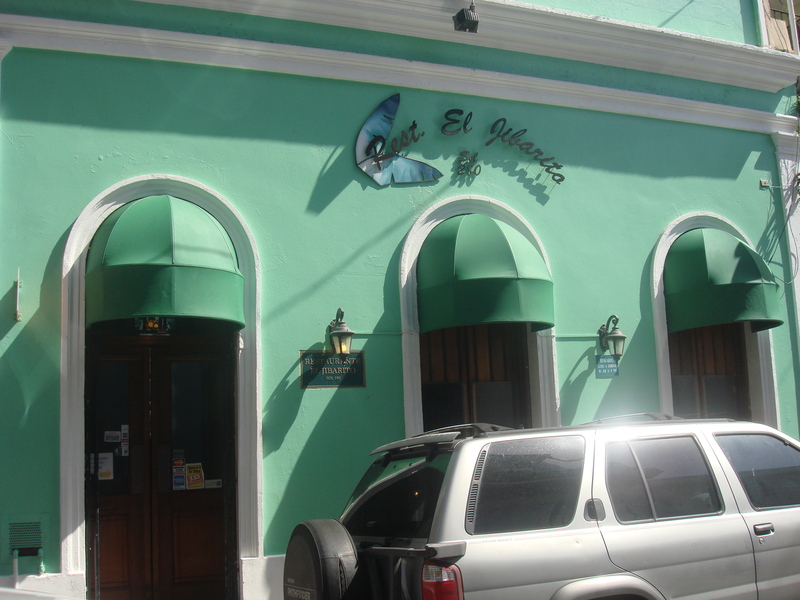 In Old San Juan, El Jibarito on Calle Sol can be counted on for good old-fashioned comida criollo. 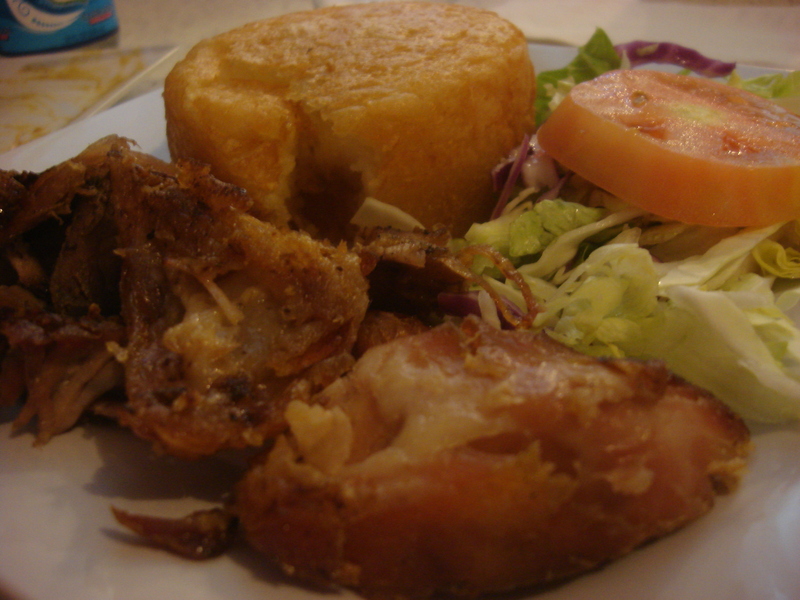 I had pernil (roast pork) and mofongo de yuca (yuca with garlic and oil, mashed and fried). I had drinks with José Luis, my beloved Colombian friend whose got the loveliest clothing boutique in Condado (Ambar) . I visited with Emilio, of Oof Restaurants for a long overdue catch-up. 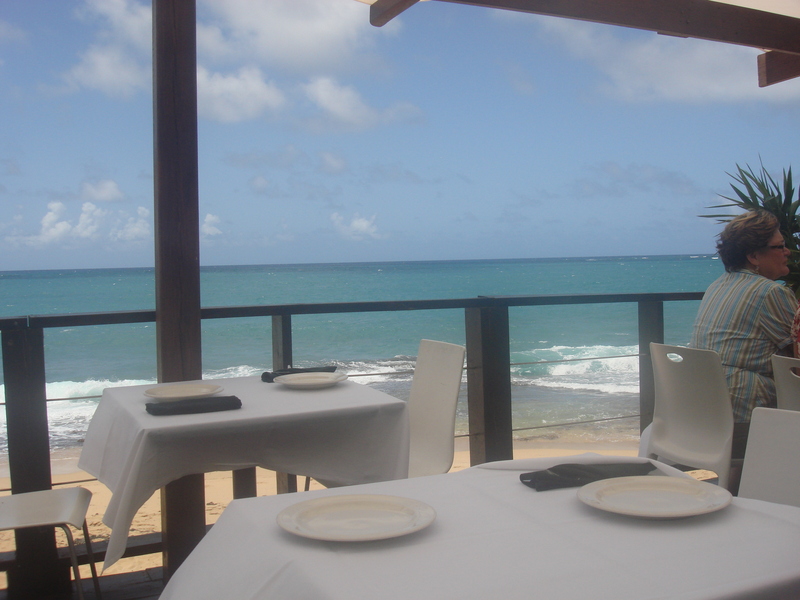 Had a leaisurely coffee and tea with the inimitable Chef Norma Llop, who runs much of the gastronomy end of PR Tourism. And had a long visit with my godmother, Carmen Palacios de Ramírez, with a glimpse of godfather Efrén deep in writing a book…yes, I got around a lot in just a few days! 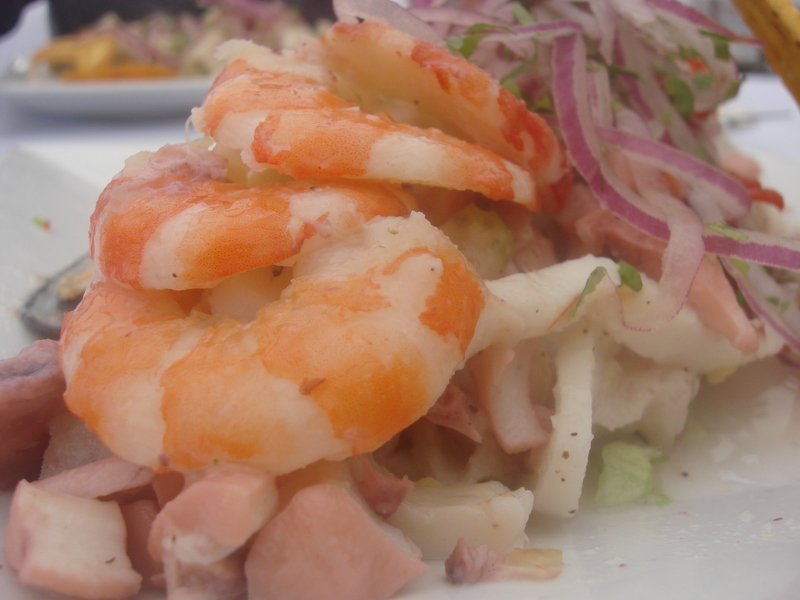 With dear friends David and Sean, I had very good ceviche at Perurrican over most stimulating conversation. 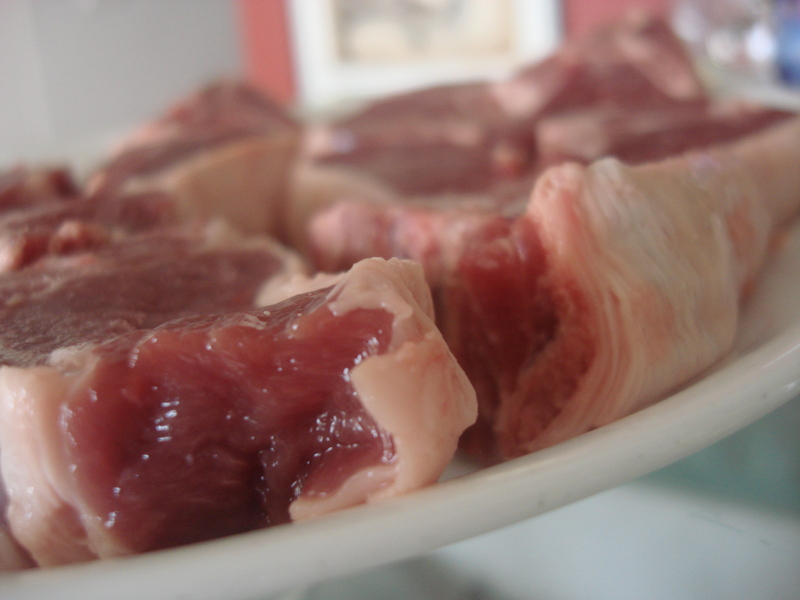 The view from Kendra and Raúl’s at 5 p.m.
After prepping the lamb chops, place all adobo ingredients except oil in a mortar and pestle and grind down to a rough paste, adding oil a half teaspoon at a time until you reach a spreadable, but non-greasy texture. Paint both sides of the chops and refrigerate until about ready to use. Give the chops enough time to return to room temperature before grilling. Heat your grill until just under its high temperature, then scrape grill clean if necessary. Allow to heat up for a couple of minutes, then start. Place chops on grill. After 1.5 minutes, turn them over. Cook for another 1.5 minutes, then repeat. 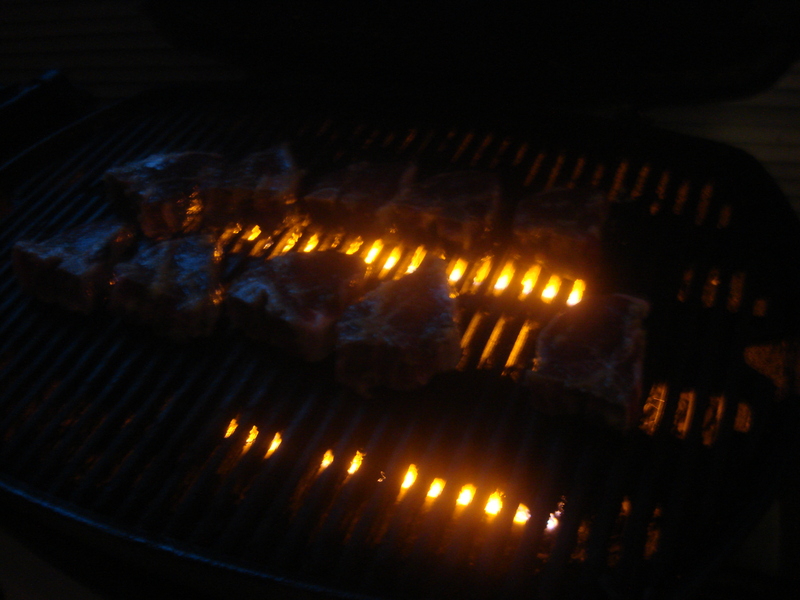 Stand them up on their sides on the grill for another minute, checking for the density of the chops to firm up. 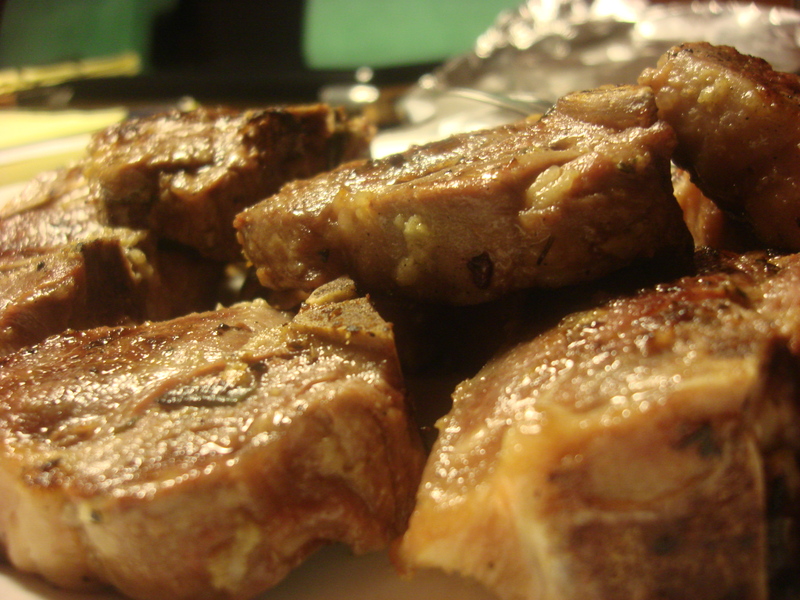 Remove from grill, place on a platter and tent them with aluminum foil for another five minutes. You may check for doneness with a meat thermometer (140°F will be rare, although many chefs stop at 120°-130°). The chops can rest until you are ready to serve. Wash calabaza rind thoroughly. Do not peel. 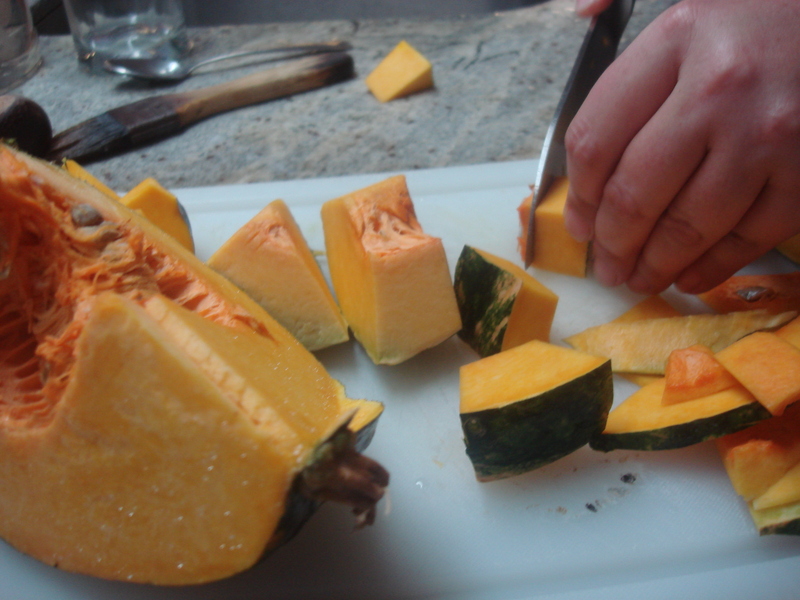 Chop calabaza into 1.5” chunks. Sprinkle sparingly with salt. 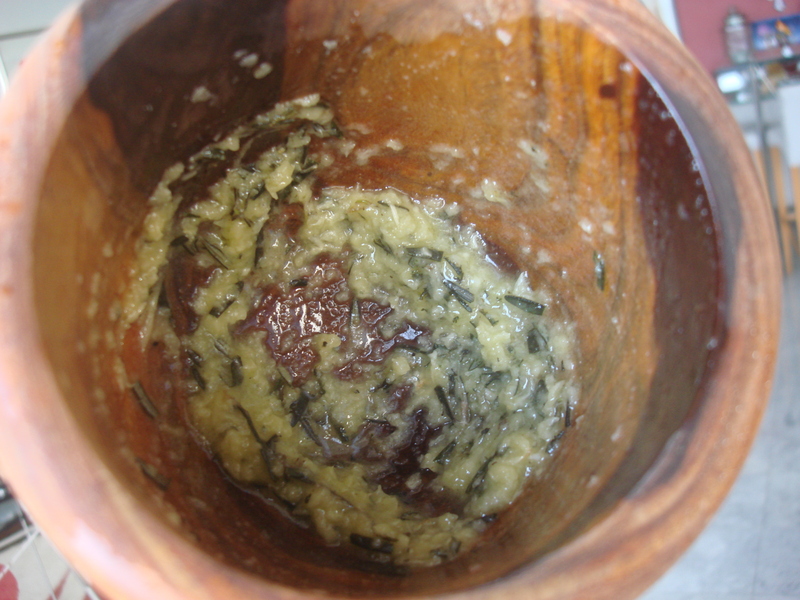 Heat oil and butter in a pan at medium high until foaming subsides. 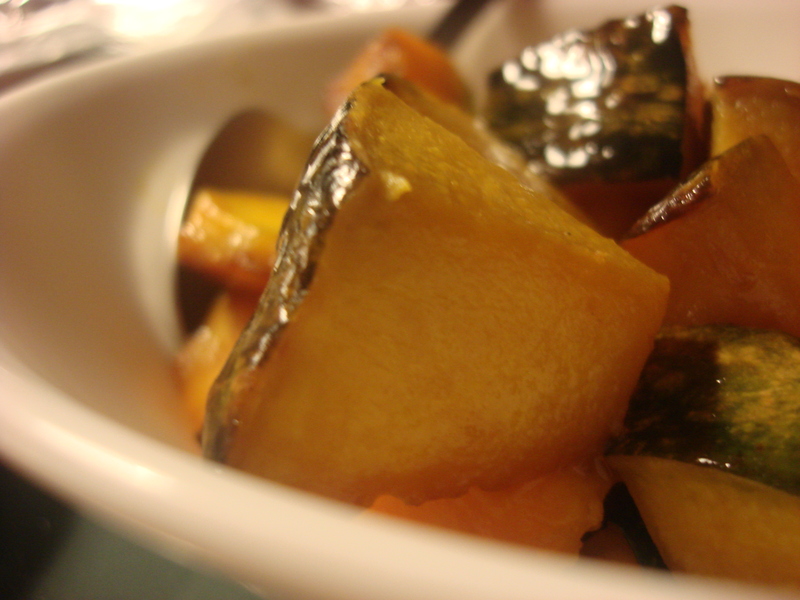 Add calabaza, stir to coat and turn down to medium low so you hear a slightly sizzle. Drizzle with honey and cook for a few minutes until beginning to soften, but still resistant to a fork. Turn off burner, cover and leave for at least 5-10 minutes, until a fork passes easily through, and you are ready to serve. Or a 5 and a 6 year old. whatever. Also saw that one of Kendra’s corrections is that you were, in fact, imbibing while cooking. So what about working with Kendra makes writing a recipe possible, while with me it is not? My hypothesis is, it has nothing to do with imbibing. It has to do with the fact that we always have 2 hungry six year olds who are potentially injuring each other to contend with!!!! I think you are right, partially. Certainly there are few moments when we are both in the kitchen paying attention to the food at the same time. Also, we do things that cook up for a while on their own, which gives us time to forget to keep track of time! However, Kendra and I got started earlier on the cooking and later on the imbibing…. It sounds like a wonderful trip. I love lamb chops and the ones you had look like they were great. It was all wonderful, thanks!!! Thanks Kendra; I have edited the recipe to reflect your corrections!!!!! Indeed. 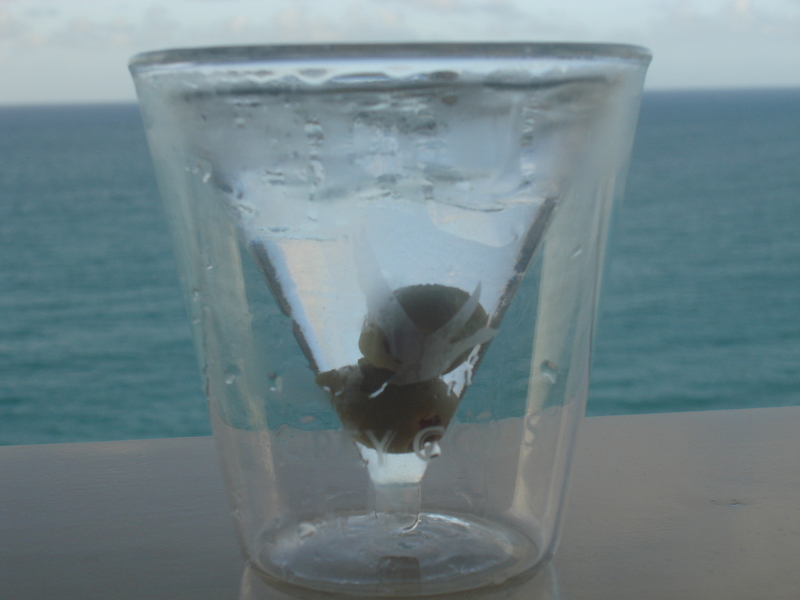 If you look very, very closely, you can read the brand of vodka etched into the glass….plastic actually. Very handy little things!